What is Land Rights Now? 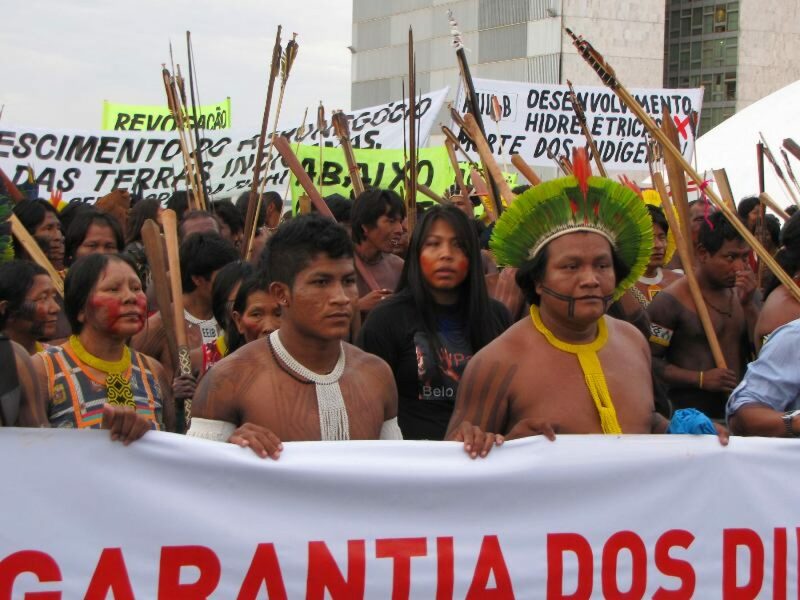 Land Rights Now is an international alliance campaign to secure Indigenous and community land rights everywhere. We call on governments and others in power to take action. The campaign is open. Anyone – active citizens or communities or organization – who endorses our goal can join and act under the banner of Land Rights Now. Together we can make a difference. We believe in peaceful action and the power of people. We are guided by a set of policy recommendations, which are anchored in human rights. We invite you to share and use these policy recommendations with your government or any other actor at every opportunity to assert your rights. We have an Advisory Board, who reviews our plans and provide guidance. We mobilize active citizens around the national campaigns our participants are leading and through yearly global weeks of action. In 2016, a group of organizations – convened by the International Land Coalition, Oxfam and the Rights and Resources Initiative –launched a global call to action to secure indigenous and community land rights, and a number of initiatives, like Land Rights Now, to respond to that call. You can read more about us in our flagship report, Common Ground. Up to 2.5 billion women and men worldwide depend on indigenous and community lands to survive. These lands include forests like the Amazon, the vast rangelands of Eastern Africa or North America, farmlands across the world, mountains like the Andes or the Alps, lakes or shores from Norway to Timor Leste, and cover more than 50% of the world’s surface. While Indigenous Peoples and local communities customarily claim and manage over 50% of the world’s lands, they legally own just 10%. As a result, at least 40% of the world’s land surface is subject to a massive tenure crisis and vulnerable to land grabbing by more powerful actors to create large plantations or fossil-fuel projects, hydroelectric dams, tourism, speculation or conservation. This crisis not only undermines the human rights of local people, but also threatens the human race’s ability to achieve sustainable development, end poverty and fight climate change. Faced with potential eviction, communities all over the world are organizing to defend their rights. Their peaceful actions have led to change, but need support. Most their voices and demands are ignored, while increasingly communities and leaders are the victims of violence, harassment, defamation, threats and even murder. Land Rights Now aims to amplify the voice of these communities, and help defend their land rights worldwide. We want a world where Indigenous Peoples and local communities have their land rights secured, are at the centre of sustainable development, and can decide on their own future. We want a world where women have equal rights to land and equal participation to governance. We want a world of justice where human rights are protected for all. This requires bold political leadership and change in the behaviour of governments, Parliaments, corporations, national and financial institutions, national and international civil society, and citizens across the world. For campaign updates, sign up here.